if you need more than listed please convo and I'll set up a listing just for you. 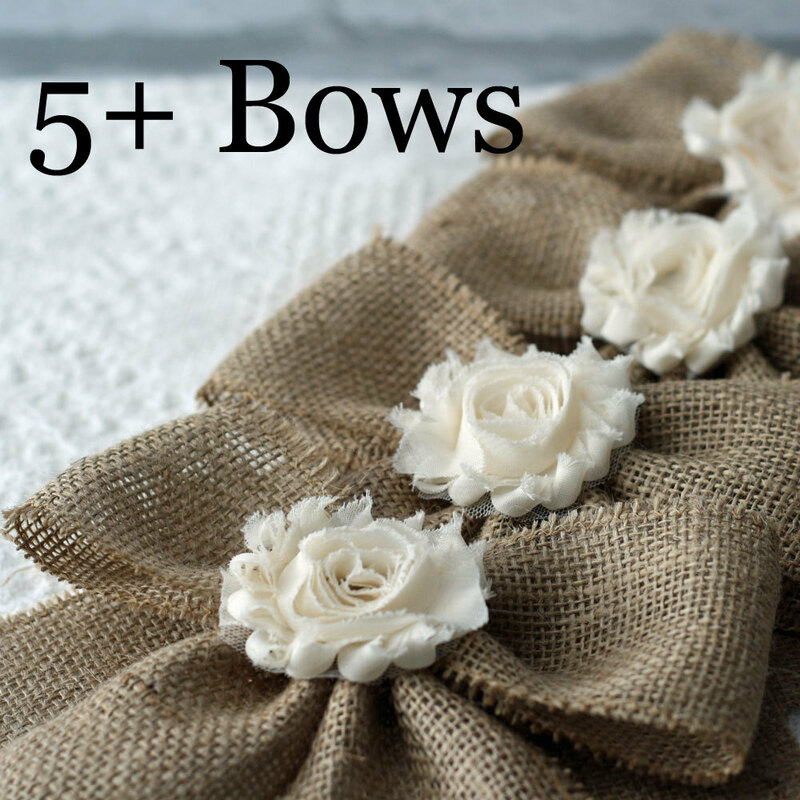 Handmade burlap bows for your wreaths, your wedding decor or home decor. I use them throughout the year and decorate a tree with them at Christmas. made from 3" wide ribbon with finished edges to deter ravel; each measures approx 7" side to side with 8" tails. Hang approx 10" top to bottom; attaches with a jute tie in back. Love these bows,,,great quality material,,thank you Marion B. Great quality and arrived in time for our wedding! They even got wet and dried beautifully! Very pleased.